Buddhism is often linked to China despite the faith originated in India. Many people around the world are unaware of the existence of the Chinese counterparts of the Abrahamic God, Noah, And the Great Flood. Ancient Chinese citizens worshipped Shangdi (in Chinese it means Heavenly Ruler). Christian fundamentalists believe that he might just be a representation of Satan to fool mankind. There is a huge statue of Shangdi with a horns sign, the sign is often linked to Satanism. 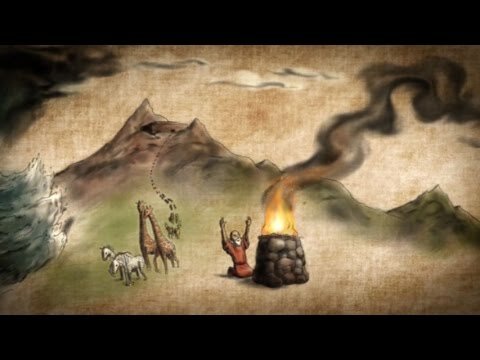 Much more astonishing is the parallels between the stories of Noah and his Chinese counterpart King Fohi. King Fohi is a mythological figure that survived the Chinese version of the Great Flood. 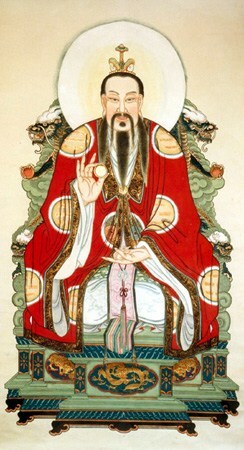 After surviving the Great Flood, He crowned himself as the first Chinese King. And since then the Chinese civilization and the great Shang Dynasty flourished. There is also another strange parallel regarding the Mountain where the Flood didn't manage to reach. If the Hebrews have the Mount Ararat, the Chinese have their Mount Chin. Many Chinese scholars found out these strange parallels and they even made an extensive hermeneutic analysis between the Holy Bible and the Oracle Bones where ShangDi's moral lessons and revelations are written. What they found out surprised them because there is no way that the Mesopotamians and Chinese can make contact during 4000 years ago. How did these coincidences happen? There is an extensive explanation made by the late 20th Century psychologist and philosopher Carl Gustav Jung regarding the collective unconscious and archetypes.